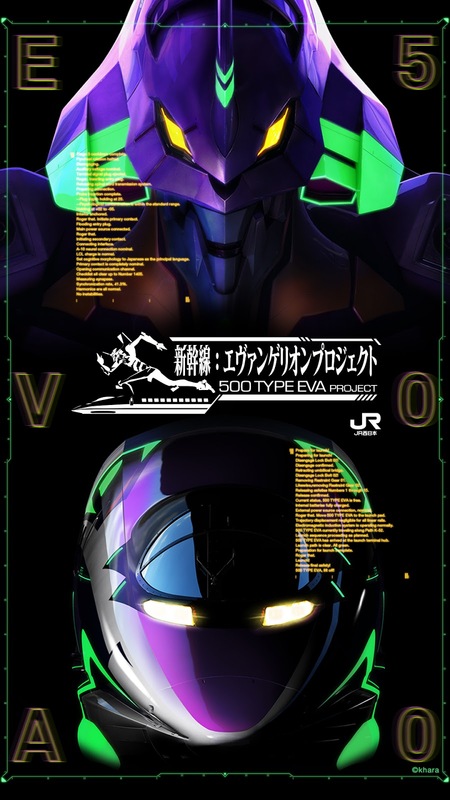 As explained in the 500 Type Eva Project web page, "2015 marked the 40th anniversary of Sanyo Shinkansen's completion inauguration, as well as the 20th anniversary of the start of the Evangelion TV series. 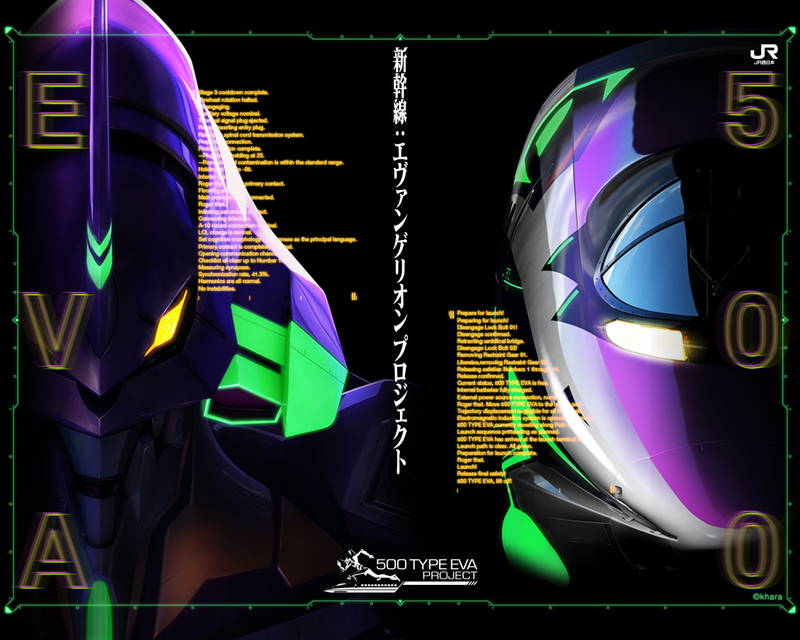 To celebrate this double anniversary, the Shinkansen Evangelion Project was launched in November 2015. 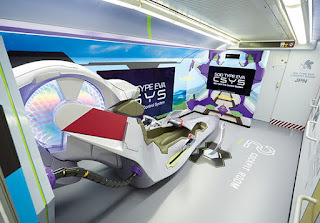 The Sanyo Shinkansen operates a 500 TYPE EVA train, created under the supervision of Mr. Hideaki Anno, Director of Evangelion, and designed by Mr. Ikuto Yamashita, Evangelion's mechanical designer. Additionally, while on board, passengers can enjoy content with the motif of the world of Evangelion." Kato was the first announcing this model release, but it could only be purchased in August 2016 during an train event in Japan. 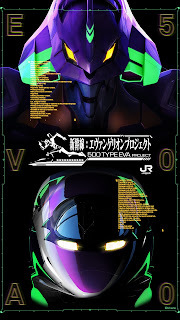 It was also advised that the model was using the previous 500 Type molds so it was not an exact prototype to the original one. It was only an special decoration, and the cost was 30.000Yen. Nowadays is still not possible to acquire it in regular shops, just directly to Kato through their web page. Before Kato's release date Tomix announced they were also releasing this model, but with new molds reproducing the original in a more accurate way. Tomix model was also reproducing the first car interior and the preorder price was below Kato price. I prepare the plates applying tin to the extrem part where I plan to solder decoder and interior lighting wires. 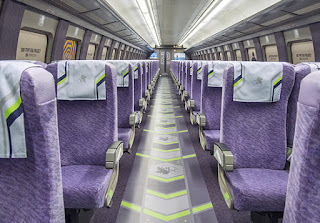 As this train has 8 cars and I don't want to install 8 decoders, interior lighting will be directly connected to the rail power. I checked the car works properly. Motor wires have been rolled in the spring firmly and keep isolated, there is no short circuit. Check always with your tester that motor wires are completely isolated from pickup current before putting it on the tracks. You can check it putting your tester tips directly in decoder pads, so gray wire has no continuity with red, black and orange. And the same with the other cables. Now the motor works, I'm preparing the interior lighting. I'm using 12V white led strips. For the cab car I'm using a LaisDCC decoder. The motor wires can be configured in a way you can turn them on and off with the F0 (lights) button, can switch the polarity depending on the direction and the intensity is also adjustable. This has the great advantage that you don't need to make any kind of modification to the light board. No led switching, no extra resistors..... just isolate the board and connect the motor wires (orange and gray) to it. Decoder must be configured with CV61=68 and desired intensity in CV133 (value from 0 to 255, but I always set a value of 20). The light board has two metallic pads that you can desolder and this isolates the board, but to make it safer add kapton tape to the pick up current metallic strips.